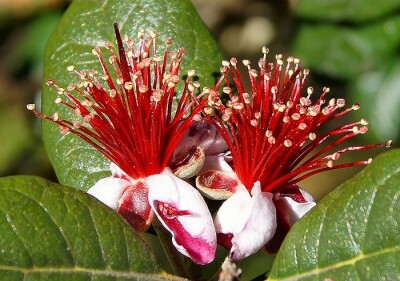 Learn how to grow feijoa in this article. 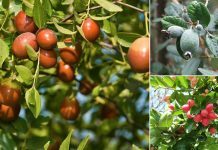 If you live in a mild temperate or warm subtropical climate, growing feijoa (Pineapple Guava) will be really easy for you. Feijoa or pineapple guava is a large and attractive evergreen shrub that is native of South America. It belongs to the myrtle family (Myrtaceae) and is widely known with the name of guaiabo, pineapple guava, guavasteen. However, it is not real guava and generally grown for its ornamental values and sweet, aromatic fruits that taste like a combination of guava, pineapple, and mint. If you’re growing pineapple guava, you should know it is a slow growing shrub that can grow up to 5.5 meters (18 feet). Its edible and mildly fragrant white flowers bloom in summer. Fruits mature in 5-6 months after the flowers. These fruits have the shape of an oval, similar to chicken egg and they look like guavas with a combined flavor of pineapple, guava, and mint. Feijoa lives long between 50 to 70 years. Despite its subtropical origin, it is resistant to some freezing temperature, although below 12 ° F (-11 ° C) the plant suffers. Plant the shrub in slightly acidic soil that is rich and well drained. Pineapple guava can grow in a variety of soil types, but the plant does best in slightly acidic soil. Dig a hole that is twice in depth and width of the previous pot in which you’ve bought the plant from the nursery. Mix one part of soil with one part of compost and peat. Remove the plant from the container, loose the root ball and place the plant in the hole. Plant the plant in the depth of or slightly higher than it was planted in its previous pot. Pour the soil into the hole and gently pat the soil over the roots and around the plant. Water the growing medium around the plant carefully so that air bubbles are removed and the soil settles. If you live below USDA Zone 8 or in a more cooler climate, growing feijoa in the pot is the best option. 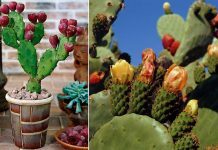 All the growing requirements and caring tips are similar as we’ve recommended for planting on the ground. Make sure your plant is exposed to full sun, at least 6 hours. Grow other plants around it, to shade the base of your tree. It is resistant to some cold, drought and heat but it doesn’t grow well in a windy spot so don’t hesitate to plant it near a wall to protect it. It prefers sandy soil that is rich in organic matter–loose, light and gritty. Soil should be well-drained but not too dry. While planting, add some perlite or sand in your garden soil. Feijoas grow slowly and require the application of 8-8-8 NPK organic fertilizer once every two months to speed up growth. The fertilizer you use should contain trace elements like copper, boron, magnesium, zinc, manganese, iron, and molybdenum. Water the plant frequently, especially during the plant’s first year of growth. Established and mature plants are drought-tolerant. Still, the plant should receive an inch of water every week. Water clayey soil once a week and light soil twice a week on the ground. Reduce the amount of watering in winter and rainy season. 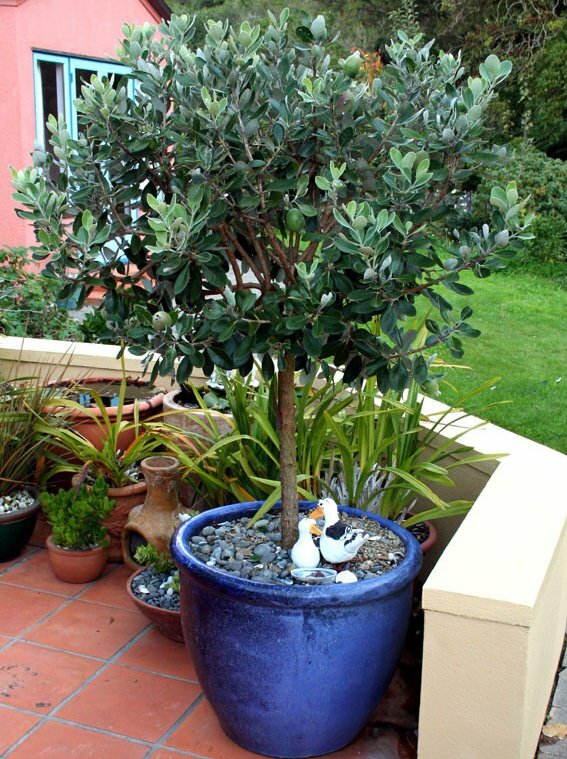 It is not necessary to prune feijoa, except if you want to give it a shape that suits you. 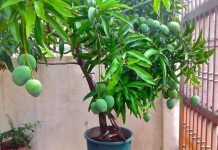 You can prune your tree only at the time when there are no fruits hanging on the plant. In fall when the harvest is done, it’s an excellent time to prune it. Do mulching at the base of your tree with organic matters like straws, grass clippings, and twigs. You can also use coffee grounds. Mulching conserves the moisture content in soil, prevent weeds and insulate the plant in winter. Few pests and diseases affect mostly a young plant. It can be invaded by aphids, mealybug, and scales. You can spray insecticidal soap mixed in water to kill these soft-bodied enemies.